Leaders say teamwork is important, but spend most of their development-time working with individuals. Isn’t that inconsistent? Could three-on-ones be more effective than one-on-ones? Most one-on-one conversations would be better with teammates in the room. Development conversations happen with a wider audience. Team members know what fellow teammates are working to develop. Transparency strengthens connection and commitment. Delegating conversations become more collaborative with others in the room. They say three heads are better than one. Additionally, it’s healthy for others to know the projects you’re working on. Daily high-five moments become possible. A pat on the back lets others know their progress matters. If three others know what you’re working on, they have the opportunity to acknowledge your progress. What about privacy? Some conversations need to be private. Yes, but how many? If an employee constantly needs private one-on-ones, there are deeper issues. Maybe you’re creating dependency. It could be that you’re dealing with issues outside your skill-set. Will people be open or honest if others are in the room? Lack of trust, candor, and transparency is problematic. They should be developed. We need to learn how to be honest with optimism, rather than protective and isolated. 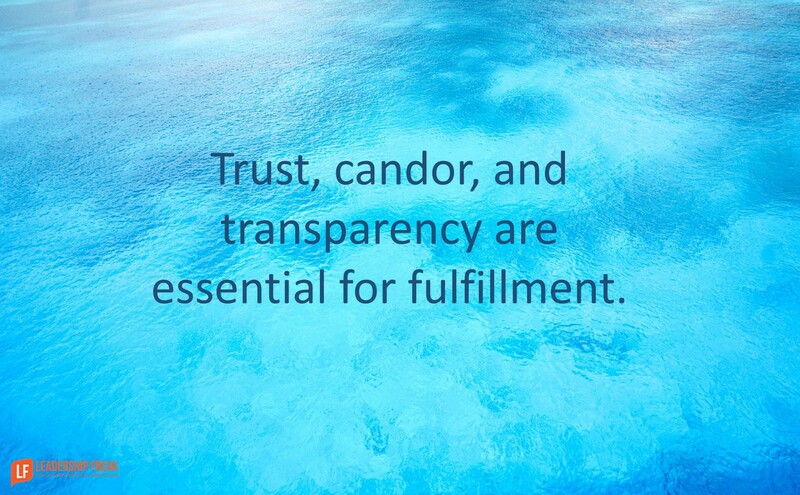 Trust, candor, and transparency are essential for fulfillment and success. Introverts might struggle. How might three-on-ones be made more comfortable for introverts? Navigating schedules is more difficult. What are the pros and cons of replacing most one-on-ones with three-on-ones? Note: Maybe this is a dumb idea. I still plan to use one-on-ones, but I’m wondering about the usefulness of adding three-on-ones to the mix. What are your thoughts? A small group of peers just started a peer leadership mentoring program that sounds a lot like your 3 on 1 concept. And for many of the same reasons you mention. We just had our first meeting with the 4 of us (our fifth could not make it) and we all felt it was value added and brought each of us new insights. Thanks for the insight, Stephen. The piece that seems missing is discussing operations. How would you feel if operational issues were part of the conversation? What about delegating tasks? I do this on a regular basis. I call them group sessions. We are in a call center so we listen to calls together and I have the reps coach each other. It is very valuable. Thanks Dawn. You’re making me think about adapting to the context. This feels like a mini training session. What changes do you see in the relationships between people who participate together in the conversation? YES!!! Stupidly Simple, like most really good ideas. But the Supervisor needs to have facilitation skills and must ask and listen rather then tell. Are they prepared for that? Senior managers, sure. The front-line untrained people (11% get training, according to DDI survey). Thanks Dr. Scott. It does present an interesting opportunity to develop supervisors. I think it may make the supervisors job easier once they learn how to lead a three way conversation,..but I’m not sure. We started using the three on one review process with new hires in 2016 to convey to their leadership structure that communicating in person was the new standard. You have to remember if it has never been seen it may not make sense until you do it… you have to show people a new way not just tell them. The people who participate in the process know they have a team of leaders supporting them, they have been told in person what they are doing well and what we will help with as leaders. We use it across the board as a common practice now. Thanks Regina. Your insight that you have to do it in order to understand it makes sense. I think you took this to a new and interesting place. I hadn’t thought about the review process. Love the feel of a team of people on your team. Thanks Martin. Such a clear and powerful approach. I’m a fan of, “Let’s pick up the phone and get that person in the room,” when someone brings up interpersonal issues. If you don’t do that, you encourage gossip. I’m thinking of John Wooden’s comment about going slow to go fast. It might be a bit slower to arrange a meeting with multiple people. The conversation might take a little longer. But things go faster after the meeting. I love it. The senior leader generally knows if there is a personal conversation that needs to take place and can schedule accordingly to provide a safe one on one environment. The three on one meetings would build trust and build the team together, and help others know what other departments are presently focused on. Thanks John. Your seem to appreciate the idea that inspired this post. We talk about teamwork and at the same time encourage leaders to have one on ones. Yes, one on ones are still on the table. But maybe a shift toward small group meetings is in order. Wonderful post and definitely an entertaining idea and out of the box thinking which is brilliant. The large red flag that stands out on a 3 on 1 is the relationship dynamic and chemistry that is now altered. It is my belief the better the relationship with the direct report the better the results, how difficult is it to build a meaningful relationship when there are three instead of just two? I love the idea and think it would add value in the workplace at times, however if a manager is going to lead their team they need to have a strong individual relationship with each direct report. Thanks Jon. I’m on board with your concern about individual relationships. I believe in results through relationship, not results OR relationships. It would be interesting to see what plays out with leaders who might give this a try. Over the past 6 months, I’ve been piloting a coaching program with supervisors and managers in our office. We have a once a month group coaching discussion with a pre-defined topics. I come with questions to get discussion started, but the group of 6 team members really runs with discussion and coaches each other. In addition, I meet with each of them for a monthly one to one coaching session. Initially I thought the group discussion would provide value, but it has had so many more wins than I could have imagined. Definitely think you’re on to something with this idea! Thanks Erin. I meet with leaders in two organizations to facilitate these meetings. It’s very useful and you’re right. Added benefits are stronger relationships and greater transparency. I changed to two-on-one concept 4 years ago. It works like a charm. Interesting proposition and observation. You’re right, traditionally we’re all used to doing 1 on 1. But that seems ineffective and even risky in today’s work environment. Different members of the team may view one player differently than another player does, so perhaps there is wisdom in at least having a 2-1, if not 3-1. I wonder if 3 would be too many and make the individual being counseled feel ganged up upon? Great read. Thanks for sharing. Thanks Devotional Guy. I was thinking the three are colleagues with one supervisor. The bulk of the conversation might be between the three colleagues. I’m glad you joined the conversation to give me a chance to clarify that. However, one comment above referred to doing performance reviews with 2 or 3 leaders and one employee. I suppose being ganged up on is one possibility. However, the other possibility is the feeling that several people are on your team. Good stuff. Thanks for clarifying. I have found this can be a challenge to traditional thinkers. It’s tough for them to feel confident and comfortable discussing items that run the risk of being contentious or “too close to home.”. I have found that a quick, individual briefing on the topics, prior to the larger meeting can be helpful. If you choose to go down this road be patient. Individual learning styles impact effectiveness. Thanks Ken. Great insights. In one way, your comment suggests that if we are serious about teams we should explore this. In another way, you offer a fantastic suggestion. Prepare people. The need to prepare people can be a surprise to leaders who are good at thinking on their feet. Thanks again. Three, or more than on one’s I found can be a great thought provoker, teacher, IF you and all are open to hearing, listening, discussing and learning from other people’s scenario’s, other people’s opinions. Variety, variances encountered during discussion can also help maintain attention during the discussion, lead to further ideas, options. A disadvantage can be, where, one person’s possible idea, could be adopted, taken as another person’s, the wrong person may end up getting and taking acknowledgement for it. One on one’s are, can become too focused on one specific, no open mindedness. A key may be identifying beforehand, when a one on one would be more beneficial to a three on one, a case of know your topic, know your audience irrelevant of size BEFORE going to it. oh that difficult one referred to as ‘trust’. In an attempt to build trust, me being me 🙂 would probably look at the possible root causes of any distrust that may exist, why it exists and build on them to create the trust. Come to think of it, I would probably put that practice into a lot of things ie look at the opposite to come up with the answer, provide a route to resolution. I’ve probably also, looked at the answer, to work out how it is achieved, how something works. I was intrigued by your observations and question. I don’t have any first hand knowledge to answer the question, but I think you make some great points worth pursuing. Your comments reminded of an observation described by Dave Logan et. al. in their book Tribal Leadership (Harper, 2008) It was this: as cultures progress from stable Stage 3 to high performing Stage 4 cultures, connections shift from mostly dyads to triads. I think this lends support to your hypothesis and warrants greater adoption. I am going to look for opportunities to shift my one-on-ones to “two-on-ones” and see what happens. Thanks John. Fascinating observation re: dyads to triads. For me, three just felt right. Perhaps a total of three makes more sense. Any feedback you might offer would be much appreciated! I just had a two on one this morning. It was part operational. Mostly developmental. They know each other well and work together. There’s good openness and I think the feeling of camaraderie is important. They affirm and encourage each other. Other times they offer feedback and suggestions for improvement. I think it works because constant improvement is accepted and expected. Why are 121s and team discussed as separate unrelated activities? I am a leadership coach and leader of peer groups. My experience has lead me to realize that effectively combining 121 coaching with team meetings is powerful. 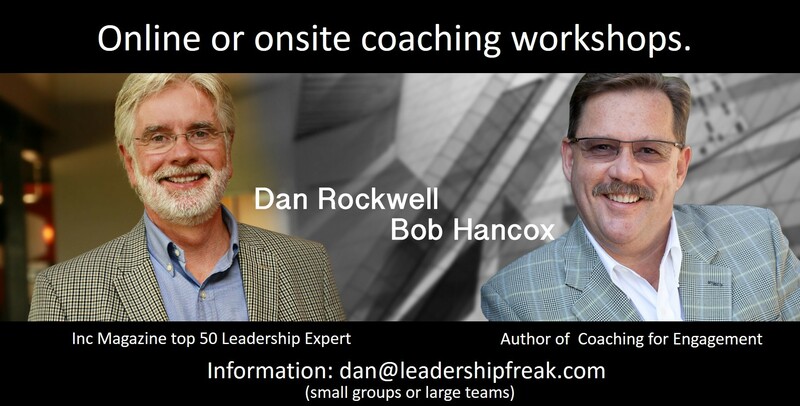 Combining both outperforms either just 121 coaching or just team meetings. One key is to use the 121 coaching sessions to help the executive/sales person think through the challenges and issues they are facing. The coach needs to then have the executive bring the issue to the team for their in making a better decision and achieving a better result. An effectively facilitated group processing of the issue will always out perform what can be accomplished in a 121 session. I am an advocate of at least monthly 121 coaching sessions combined with monthly team meetings. To add an additional wrinkle, I sometimes have the group members break into triads to meet between the monthly meeting to help each other achieve their stated goals and hold each other accountable.